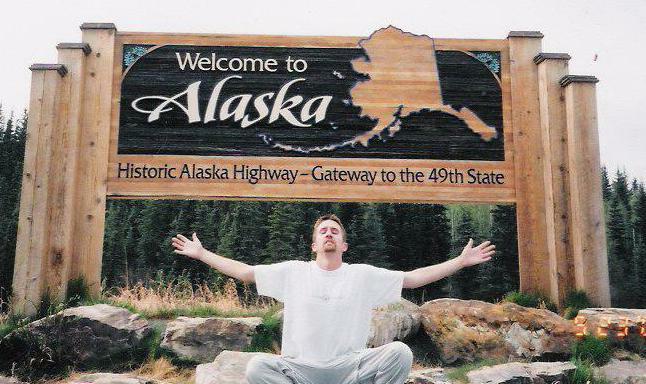 Here's a blast from the past from J's first visit to Alaska in 2003. Many people have asked how J’s training for Denali is going. And now that he is leaving tomorrow, I am finally ready to answer. (I was really waiting to see the training start ... JK). I must preface by saying J is not big into “training.” His training for his first triathlon included going on a run twice, swimming once and biking a lot. But, Denali is a beast, so he forced himself to train. Plus, his climbing partner, Bobby (Bolt), had been sending him weekly updates of his own training (probably in the spirit of a little competition). I'm pretty sure Bobby will win this one. The man walked around an urban pathway in a sunny city everyday with a 100-lb sled attached to him! Most of us live less than 1,000 feet above sea level. With ample oxygen and higher atmospheric pressure at these levels, humans perform at their best. The content of oxygen in our blood starts to deteriorate at 7,000 feet, causing all sorts of problems. Some people (me!!) struggle at higher elevations. The highest J & I have been is 14,505 feet (Mt. Whitney in California). I felt like I was going to die 1,000 deaths, while J acted like he was at sea level. While we were working in New Mexico until Thursday, we lived at 8,000 feet. While this is no comparison to the summit of Denali at 20,310 feet, living at a higher altitude helped “train” J's red blood cells, especially compared to flatlanders (cough, Bobby, cough). Once in Alaska, J and his climbing team will continue acclimatizing over their 20+ days together, sleeping at base camp (7,300 feet), Camp 1 (7,800 feet), Camp 2 (9,600 feet), Camp 3 (11,200 feet), Camp 4 (14,200 feet) and Camp 5 (17,200 feet). Part of our job in New Mexico involved taking the kiddos hiking and canoeing, so getting a daily dose of exercise was not been a problem. And our weekends were spent exploring and hiking. So J stayed in pretty good shape. Thankfully, we had a backyard mountain trail. As a roundtrip, it is 1.5 miles with an elevation gain of 500 feet. 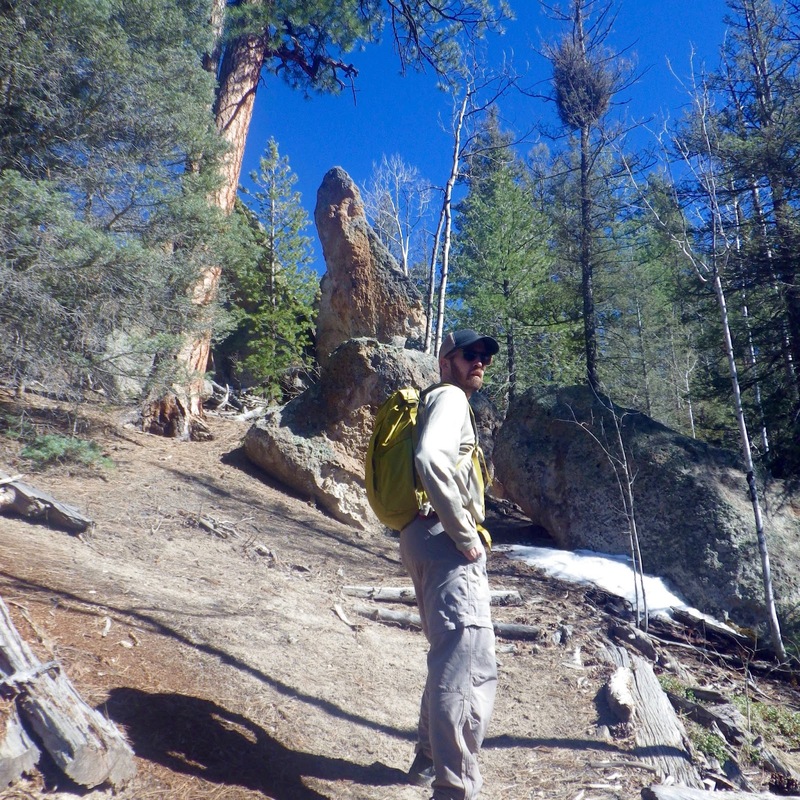 When J took the kids up the mountain, he took his 75-liter backpack. They loved it! And, on top of all that, J forced himself to run up the mountain without kids a few times a week. Sometimes he went up and down once, sometimes twice. And sometimes with a backpack and heavy boots on. Depends on the day, but I would say this helped, not hurt. J has been trying to “bulk” up before his climb, considering he loses 10-20 lbs on every long-distance hike we take. Truth be told, this guy can't really "bulk up" (I hate him for it). But, he changed his eating habits to extremely healthy. He cut out all dairy a month ago, added protein to morning smoothies packed with fruits and veggies and stuck to smart snacks, like almond butter on graham crackers. All winter, J collected gear. I promise there will be an entire separate post about the gear he is bringing up the mountain, but the amount of gear we had to purchase/track down for this trip is unbelievable. Fortunately, we work with a lot of gear companies and test for Backpacker Magazine, so he didn't have to purchase as much as others. Mountaineering is just so different from backpacking, so while some of our current systems apply, there were adjustments to be made. On our winter adventures in Colorado, J tested out several systems—snowshoes, hardshell pants, jackets—and honestly, still hasn’t fully decided on some of the pieces that will make the final cut; it will be a game-time decision. The part he can't really plan for is the weather. Positive vibes appreciated as the current forecast looks a little like this ... actually, this is pretty good considering last week it said -75 degrees! T minus 4 days until he should be at base camp on Denali!!! Stay tuned for more Denali posts!